We’re excited to announce a new feature that turns email into the ultimate collaboration tool for Teams using GSuite and Gmail! 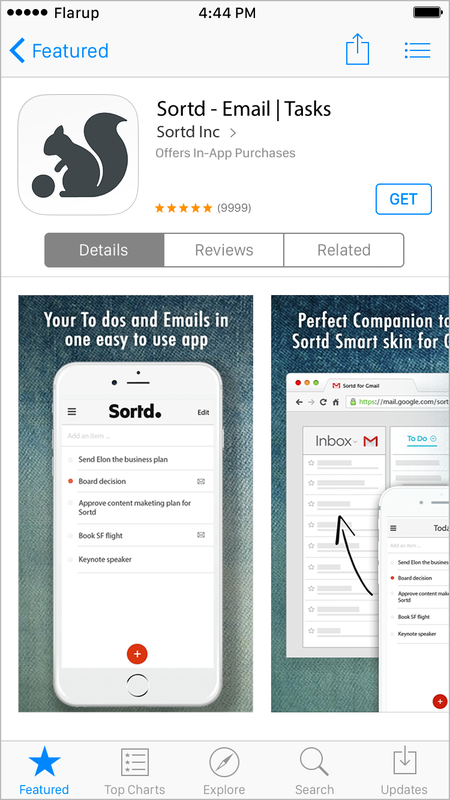 Sortd now allows you to share and collaborate on emails with your team – in a completely native Gmail experience. Say goodbye 👋 to the old FWD, CC, and REPLY-ALL that drives everyone crazy. Drag emails from customers, suppliers and partners to a shared Sortd board – and all team members who have access to the board can read and respond as if they had received the email themselves. All replies, regardless of who they are sent by are included neatly in the thread for all team members to contribute to. If you use email to manage your sales, work for clients, service etc, you’ll know all too well that it’s hard to keep track of things. Everyone in the team has their own version of the conversation and there’s no single team view on where things are at. You rely on all members of the team to be organized and to update a spreadsheet or some other system in order to give the team visibility into the status of work (whether that means your sales pipeline, a project for a key customer or anything else that relies on a lot of up and down emails to coordinate and keep people up to date). The good ol’ spreadsheet only gets you so far – it’s a lot of work, eats into productive time, it’s only as good as what you put into it, and worst of all it quickly becomes unwieldy. Here’s the problem – no matter what system you are using to manage projects, tasks and work, you will always end up back in your email – so you’re managing things in two places. Sortd turns that into one thing. The days of email being limited to individual mailboxes or sharing a login to a single email account are over – with Shared Email for Teams you now have the ability to create a workspace in your Gmail, share it with your team, and collaborate on email and team tasks in a structured, visual way. You and your team can now add email conversations to your workspace from any mailbox, collaborate on work for customers, assign emails to each other, action your conversations and track them through to completion. What is Shared Email for Teams? With shared email for teams – at a glance anyone in the team can see what the status of work is at any point in time, who’s responsible for what, and pick up on a conversation seamlessly from where a team mate left off. Best of all this happens right inside your email where you are communicating with customers already, and it’s a 100% native Gmail experience. At Sortd we believe in the power and usefulness of email as a communication tool for business – it works. But it also comes at a cost – our time and our attention. Our mission is to transform email into something that helps you and your team to get organized and aligned, and simultaneously solve your email overload problems. With Shared Email for Teams – all of the messy email conversations that typically go up and down to get information, follow up and update people on the status of work are now baked into a structured system that’s designed to help you manage work and projects as a team. Once an email has been added to your team workspace – it becomes a single, neat conversation that all team members can track and contribute to. You now have complete transparency within the team on where things are at, and anyone can step in to help out or do their part at any point. At a glance you can see what’s going on in the team, when things are due and what’s overdue. Most importantly with the ability to assign emails to team members it becomes crystal clear who’s working on what. Email assignment is not an concept that’s native to email. We’re used to forwarding emails but we do it this way because that’s the only way to do it. 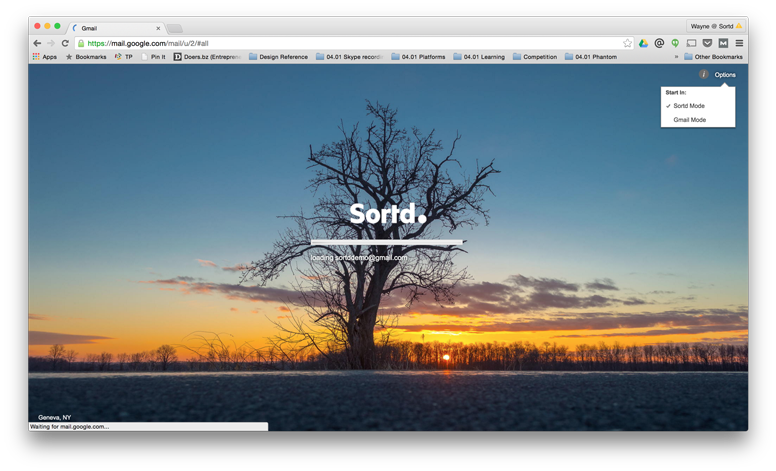 With Sortd, rather than forwarding an email to delegate it, you now have a simple way to assign it, and you can keep track of progress to see things through to completion. Create a shared team workspace (board) for keeping track of team work, just like you would in Trello, Asana or even Google Sheets. 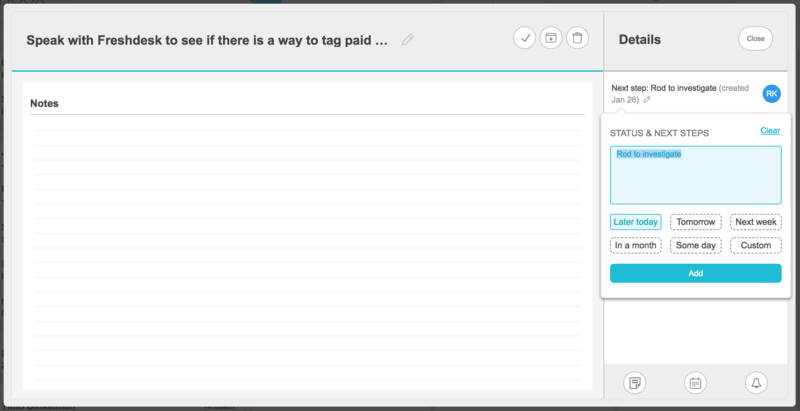 Customize the board to suit your team’s workflow. Assign email conversations to team members. Set due dates and reminders. 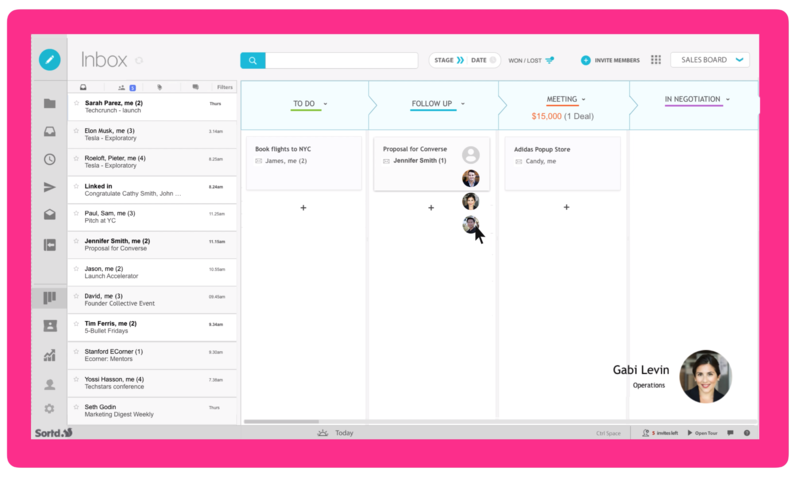 View your team plan on a timeline to get a sense of what’s due by when. Filter your workspace to show emails assigned to a particular team member. When we want to pass something that originated in email to a colleague, we typically just forward it. Here’s the problem – once you’ve forwarded the email you no longer have any visibility into what happens after that point. Even if you are copied on correspondence you don’t know what you haven’t been copied on, and if the conversation runs dry there is simply no way for you to know, other than to ask (if you remember to ask). So basically once you forward an email it’s out of your hands. Sharing email in Sortd gives you the ability to explicitly assign it to a team member, and to stay 100% in the loop on progress. At any point in time you can view the entire conversation on the board, post internal comments to disuss with your team and even set a reminder. To see what you’ve requested from other people in your team that’s still outstanding and what’s complete is a simple matter of opening the board and taking a look. There are even handy filters to help you zone in on what matters to you. 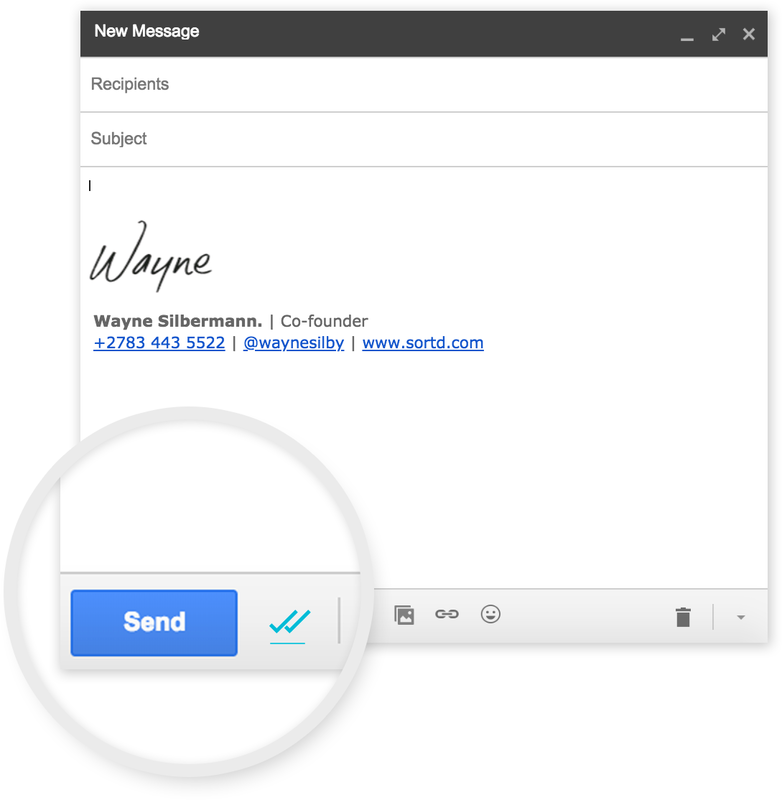 Now anyone who logs into the mailbox can drag emails to the board and assign to themselves. Once an email has been assigned, you can either continue responding to customers from the shared account, or each individual can respond from their own mail and the correspondence will automatically be synced to the shared mailbox. Anyone who is added to the To field will get the email in their Inbox – and archiving the mail thread doesn’t change anything on the board. The rest of your team will be able to see the message but it will skip their Inbox. So if you want to draw attention to a mail for one of your team members, either add them to the To field or just @mention them and that will happen automatically. Shared Email – More info? How do the various Sortd pricing plans work? Look out for the “TRY IT FOR FREE” button. 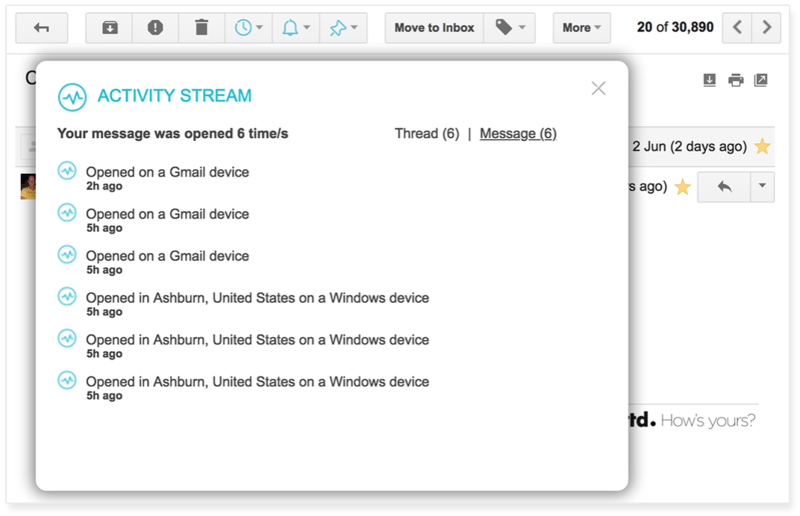 To track emails you simply enable the Open Tracking feature (note: it will be on by default so you can turn it off for emails you don’t want to track). If you want to know which mails have been tracked you’ll see an icon in your Sent Items (and Inbox). If it’s gray the mail has been tracked but hasn’t been read. As soon as a mail has been read, the icon will change to blue. It will update in real-time – no need to refresh. You’ll also see the tracking icon in thread view (note that tracking works on a per message basis, so you can see which specific messages in the conversation have been read). From here, if you click on the icon you’ll see more details, like how many times a particular message has been read, on what device, and in some cases the location of the recipient. We would advise that you use your discretion with open tracking. If you are based in the EU, Sortd has an option for overriding tracking for EU-based recipients – if this setting is on, even if tracking is enabled – email sent to recipients based in the EU will not be tracked. Please read this post on the Sortd Knowledge base to learn more about how Sortd deals with GDPR. I haven’t used Sortd in a while, how can I try Email Tracking? 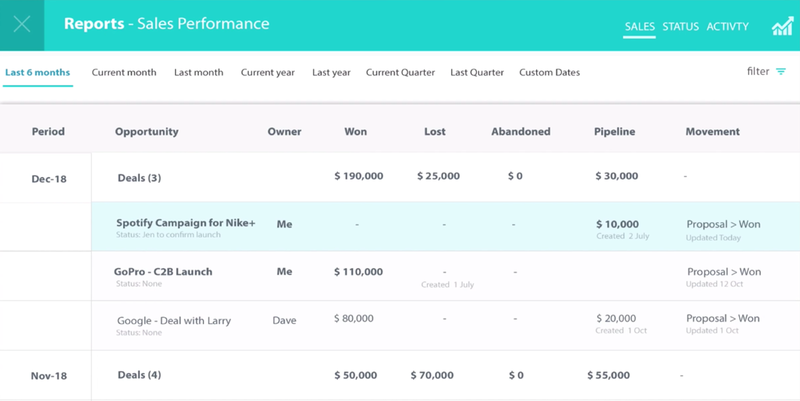 Email tracking is a premium feature in Sortd – it’s unlimited on either the Pro or Team plan. If you want to try it for free and you haven’t yet used your 14 day free trial of premium features, you will need to Upgrade. Read more about how to upgrade here – you’ll get a 14 day (no credit card required) free trial. If you have already used your premium trial please log a support ticket and we’ll try to arrange an extended trial for you. Reminders are one of the most useful tools to add to your email if you know how to use them right. They are particularly handy for things like following up (eg. closing a deal / a task that needs to be completed to deliver a project); or for getting back to an email that you don’t have time to respond to right away (eg. sending a proposal). If you are a big emailer, having the ability to add reminders to your messages can take your results to a whole new level. In this post I’ll explain how you can use Sortd’s simple but powerful reminder features for following up and planning ahead. If you want results you need people to get back to you. Following up and doing it consistently is a necessary weapon in your arsenal, especially when you’re trying to get someone’s attention. People are busy, just like you, and you sometimes just need a way to get on their radar. Sending a simple follow-up mail creates top of mind awareness and can be a super effective way to get results. “Hi Jon, just following up on my mail below. Regards, Wayne”. You wouldn’t believe how effective an email like that can be for getting results, and it’s so easy to do – but you do need a system that will “surface” the mails that you need to respond to at the right time. That way you don’t need to remember anything. Whether you’re trying to close a deal, complete a project on time or bring a funding round to a close, Sortd has a number of handy reminder tools to help you manage your follow-ups. The most natural way to work follow-up reminders into your email workflow is to set them right after you send a message. Every time you send an email you will notice a bar that slides up from the bottom of your screen. Setting a reminder to follow up is as easy as clicking “Set follow-up reminder” right after you send the mail. You’ll see a quick selector that will let you specify the most common options with one click – like “later today” or “tomorrow”, but if you want to specify a date and time click on Custom. When the reminder date is due you will see browser notification, and you’ll receive a reminder message on the thread, which will bring the message to the top of your Inbox – you can send a follow-up mail right then and there. We’ve learnt some interesting things about our customers’ email habits over the last couple of years. It turns out that you aren’t the only one who marks emails as unread when you want to get back to a mail later. I’ll admit, I do this myself on occasion and it actually works pretty well, but it also has a problem – if you keep the mail in your Inbox you are going to read it over and over again – it’s going to hog your attention. And if you leave it there for long enough eventually it disappears below the fold and you’ll likely just forget about it. This is where Snooze comes in. If you aren’t already a snoozer try it out for a week – it’s a satisfying, zen-like email experience that quickly becomes completely addictive. 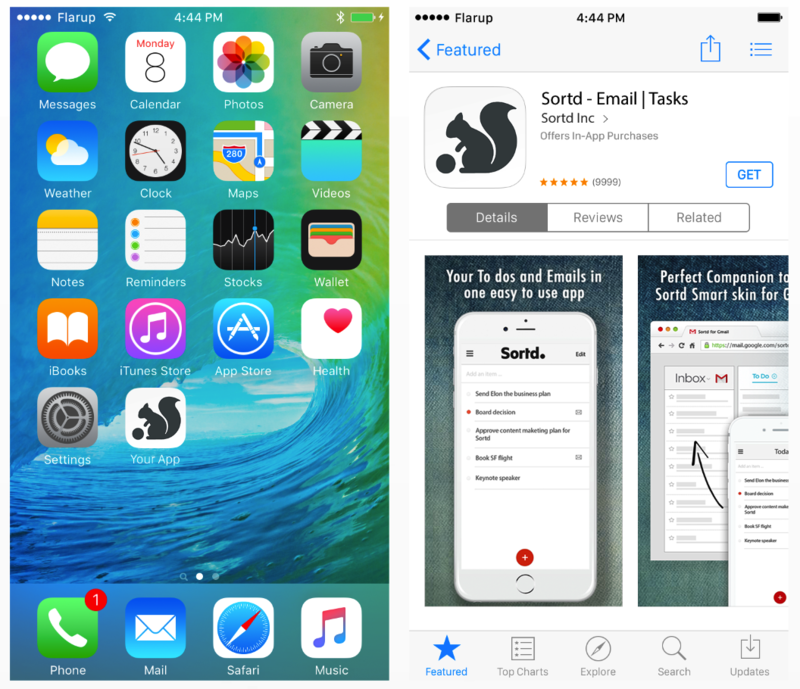 Sortd has 3 ways for you to manage your ’email in progress’ – what combination of these you use is really up to you (they are all useful for different things). In Gmail mode, when you open a mail you will notice 3 new buttons underneath the search bar. These buttons are for Snoozing, Setting a Reminder and Adding to one of your Sortd lists. This button snoozes the email, which means it will be archived right away and placed back at the top of your Inbox when the reminder date is reached. In full screen mode, look out for the Snooze option next to the Archive button in your Sortd Inbox. Clicking the reminder button simply sets a reminder. There are some one-click options like ‘Tomorrow’ and ‘Next week’, but if you want to specify a date and time click on Custom. You can use this button if you also want to add the email to one of your Sortd lists. This can be useful if you want to also keep the email on a categorized list (eg. you might want to keep all open emails for a particular client on a dedicated list for that client). One of the most useful features in Sortd is the ability to set a next step on a task – just a note that this is a team feature and only works on team boards. Setting a next step will prompt you for an action date and set a reminder automatically – this is a great way to keep track of progress on deliverables and keep the momentum going. It also gives you a way to keep track of progress on an individual task. You’ll see the Next Step option when you open a card on a team board. I’ll cover it in more detail in another post. 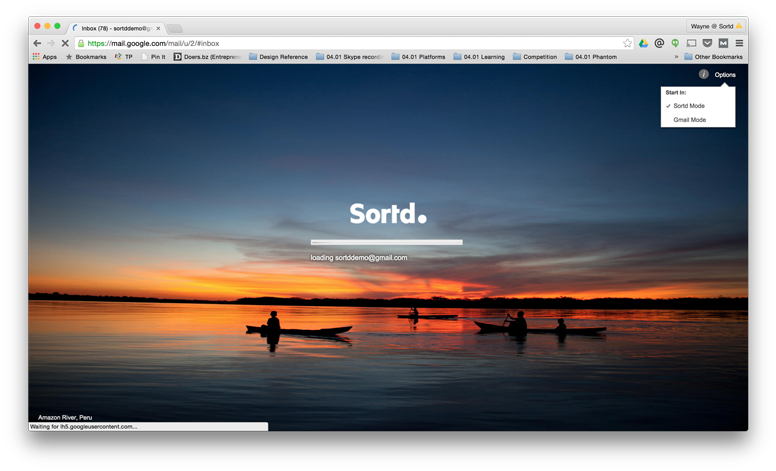 Sortd has always been a great way to manage your email. But how do you grow your business? Introducing Sortd for Sales! This is by far the simplest and most intuitive way to keep track of your sales pipeline. It’s still just your email, only now you can see what deals are going to close, when and what they are worth to your business. It’s the same old Sortd you know and love, but with all the things you need to be better at working your pipeline, closing more deals and keeping your team in the loop on where things are at. 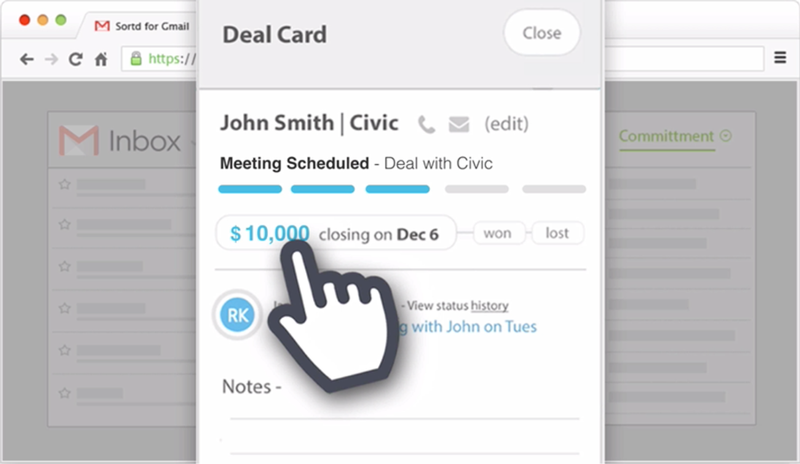 No more clunky spreadsheets or frantically trying to figure out what’s going on before sales meetings. With Sortd for Sales you focus on your pipeline and the rest takes care of itself. At its core, Sortd for Sales is a special type of board known as a Power Pack, but it also comes with a shared Contact Database for managing all your contacts and a really straightforward Sales Report that tells you everything you need to know about how your deals are progressing. 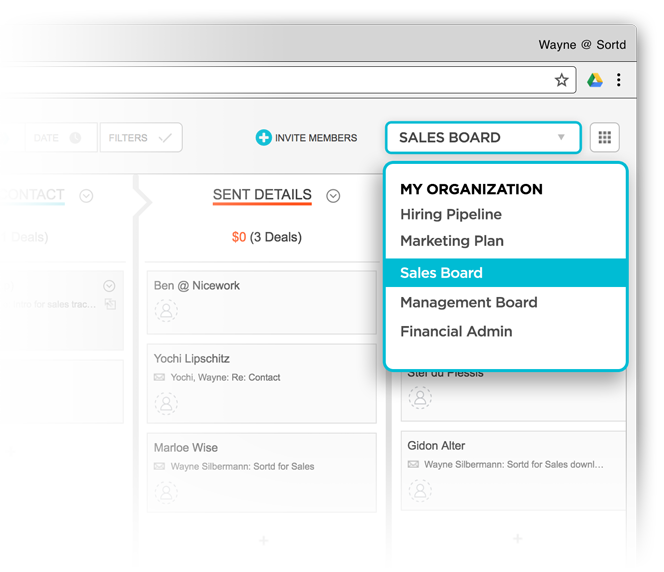 It’s collaborative, so your Sales Team can all work from the same board (you can also filter the board to show only your deals). Each list is more than just a list – it’s a stage in your Sales Pipeline. In a quick glance you can see the amount in each stage of your pipeline. Items on the Sales Board are not tasks, they are deals – when you click to view something on the board you will see a new Deal View. Where can I find Sortd for Sales? What if I don’t have Sortd installed anymore? 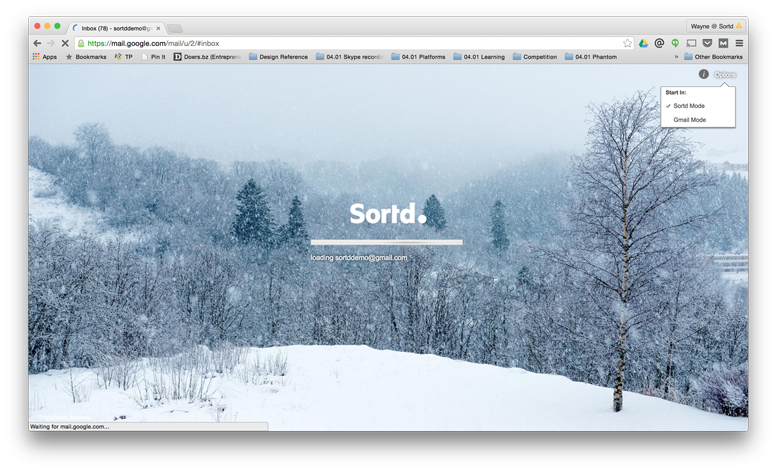 If you don’t have Sortd installed anymore just head over to the Sortd web site and install it again from there. Any data you had from before will come up again after you log into Sortd from Gmail. If you have any questions or comments please post in the discussion forums and we’ll do our best to answer you there. It’s available for download in the iOS and Android app stores.